The low profile mount MF601B is compatible with LED, LCD, Plasma TVs and other flat panel displays measuring between 32 and 75 inches. Supports all VESA mounting standards 600x400, 600x200, 500x300, 400x400, 400x300, 400x200, 300x300, 200x200 and many odd size mounting patterns (mounting holes on the rear of the TV or panel should be no more than 23.6" inches horizontally and up to 16" vertically). The sturdy steel construction offers up to 165 lbs loading capacity. The open wall plate design get the cables routing while its low-profile design places the TV nearly flush to the wall for a clean appearance. Security screws hold TV securely in the wall plate. Standard mounting hardware included. 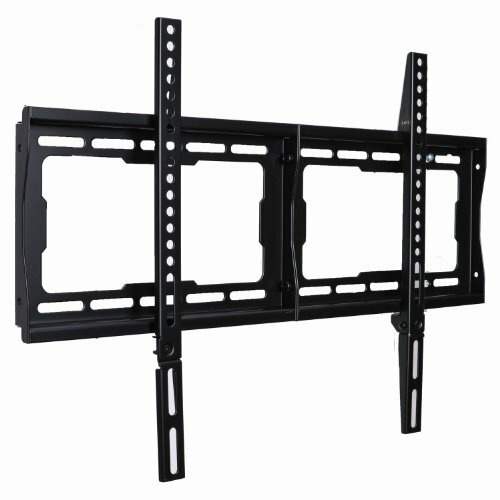 Notice: This mount fits most 32-60" TVs (VESA hole patterns from 200x200 mm (8x8") to 600x400mm (24x16")), some up to 65 70 75 80 inch TVs manufactured in recent 3 years.